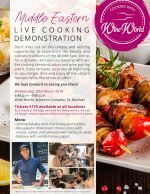 Wine World invites you to their Food and Wine Pairing Event entitled Cooking with Wine World. Theme: Middle Eastern Cooking Experience. 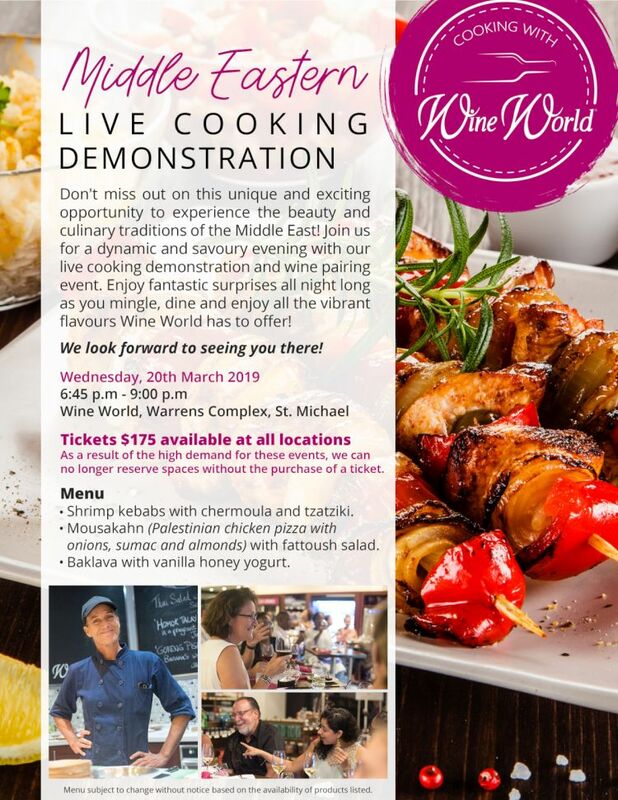 Learn to prepare delectable dishes and find your perfect pair, with exotic wines from the top regions with Chef Scott Aymes. Limited seating is available. No spaces can be reserved without the purchase of a ticket. Contact Wine World at info@wineworldinc.com to save your space.